The latest changes to the FHA Loan Limits for Phoenix and the Maricopa County area are good news for area homebuyers. Buyers can now borrow more money with an FHA loan to purchase a home than they could in December of 2017. 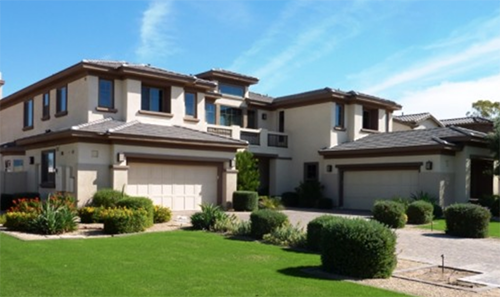 Last year, the loan limit on an FHA mortgage in Maricopa County was $279,450. The average sales price for a single-family home in Phoenix was around $290,000 in 2017, a challenge for FHA buyers expecting to put down the standard 3.5 percent. The lending limit for FHA loans in 2018 has been raised from the $279,450 to $294,515. FHA buyers looking to put down 3.5 percent can now look at homes priced at up to $305,000. The rising cost of homes in the Phoenix market makes this increase a welcome one. The new limit provides FHA buyers flexibility they didn’t have just two months ago. The increase means that there are 590 more homes FHA buyers can look priced between $290k and $305k. Home prices in the current Phoenix market continue to rise because the supply of houses for sale continues to be low. Demand is steady for the Phoenix market, so we’re seeing normal demand and low inventory, which is triggering bidding wars among buyers.